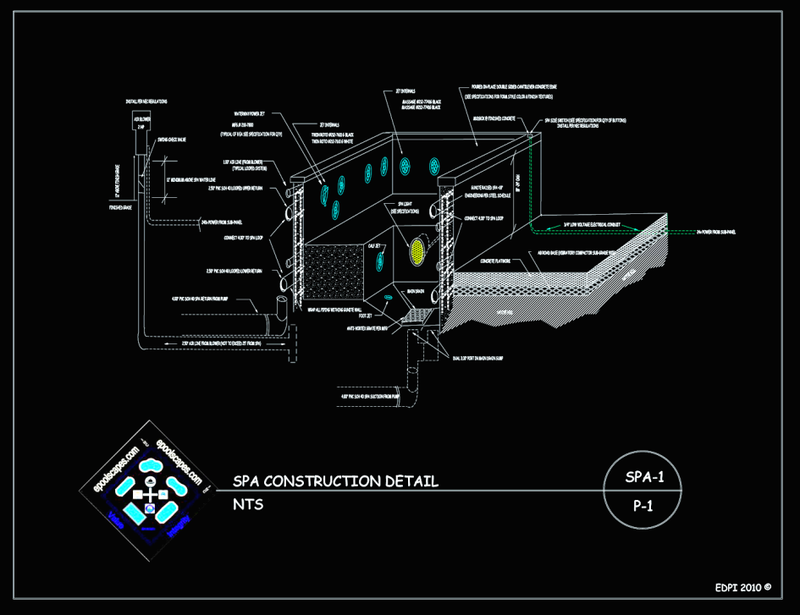 In considering an In-Ground Spa, it is best to begin with developing a clear and concise specification that can deliver upon your expectations. 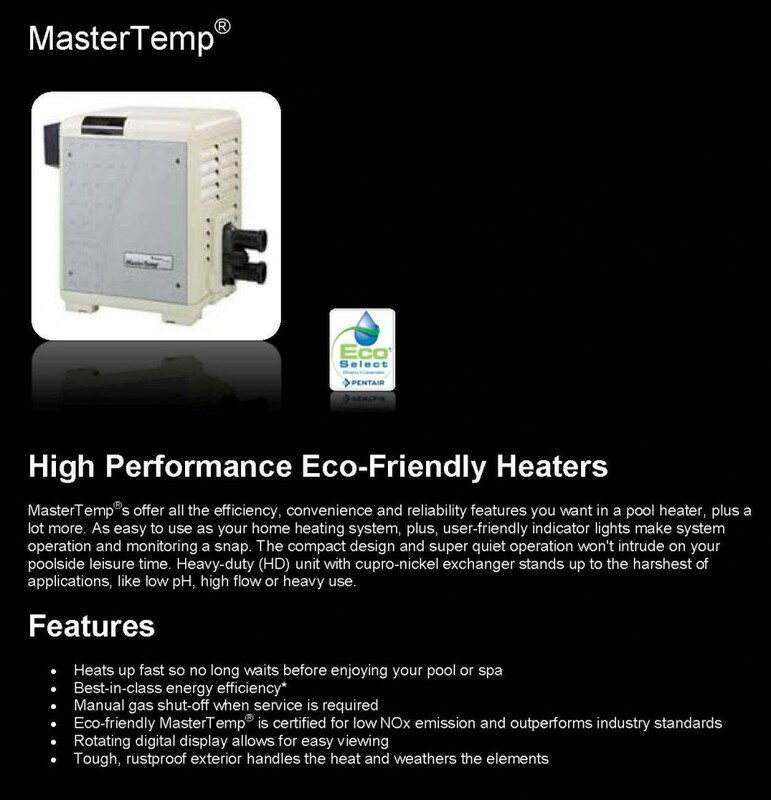 Many Builders offer a version of an In-ground Spa but, what this actually means may surprise you! 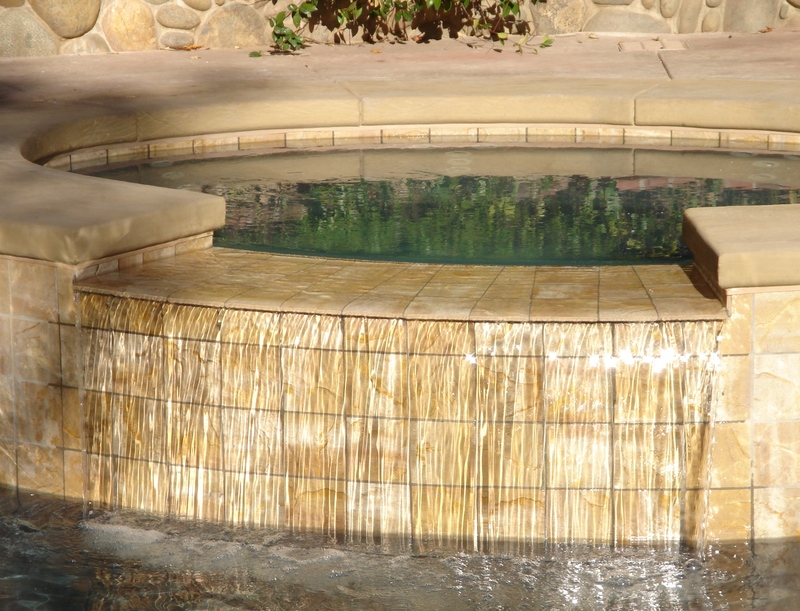 We are often very surprise when viewing some of the many examples of what ends up being called a Custom In-Ground Spa. So…we can only imagine how surprise some folks become, when it ends up that they paid full price for half their expectation! 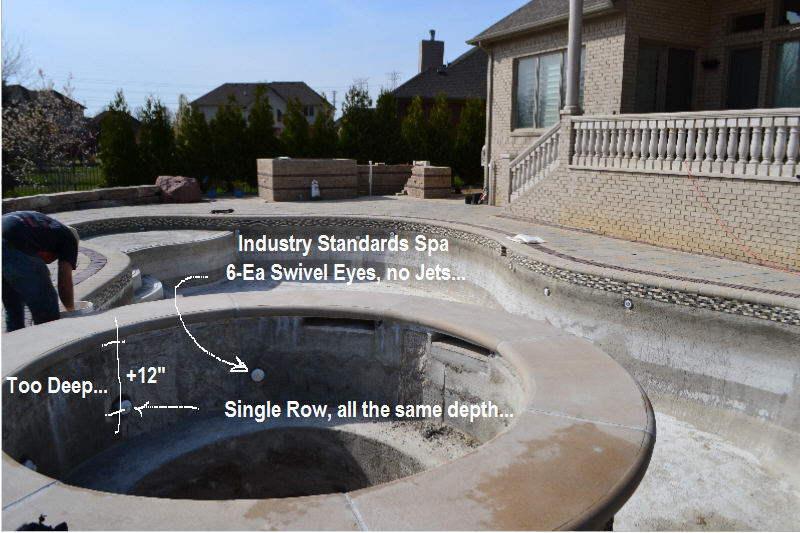 A truly Custom In-Ground Spa should involve developing a specification that can deliver an anticipated result, right? So…such intentions should be expressed in a manner that confirms that a Builder’s approach is mechanically well founded. 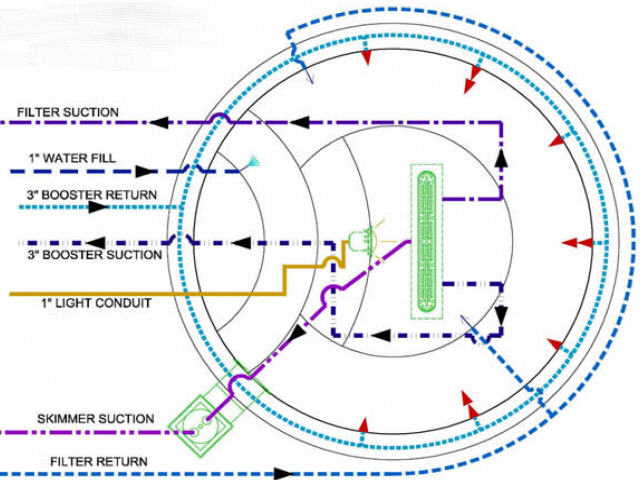 If this is the case…then those intentions should be able to be substantiated in a schematic’s diagrammatic representation, otherwise you’re buying something that’s being sold as imaginary! 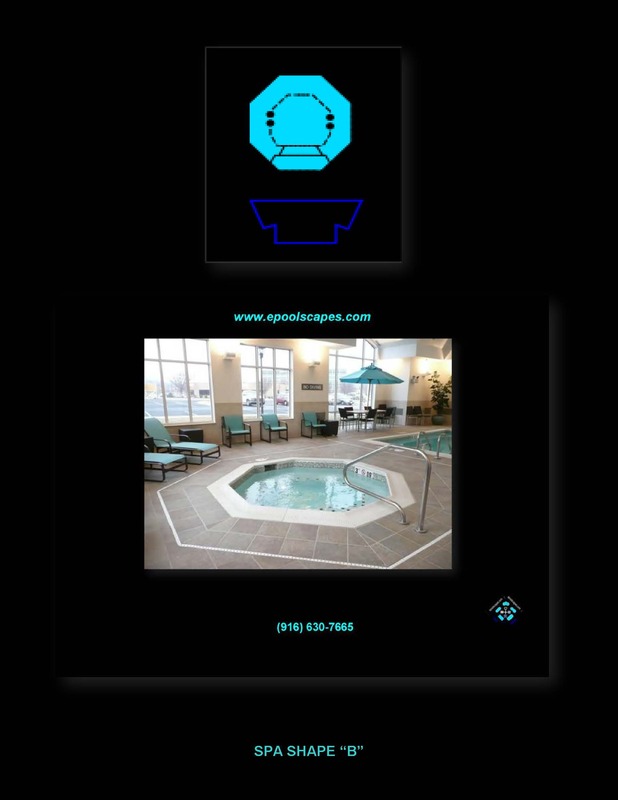 This starts with selecting a Spa Shape, that will become conformed to the dimensional space available. 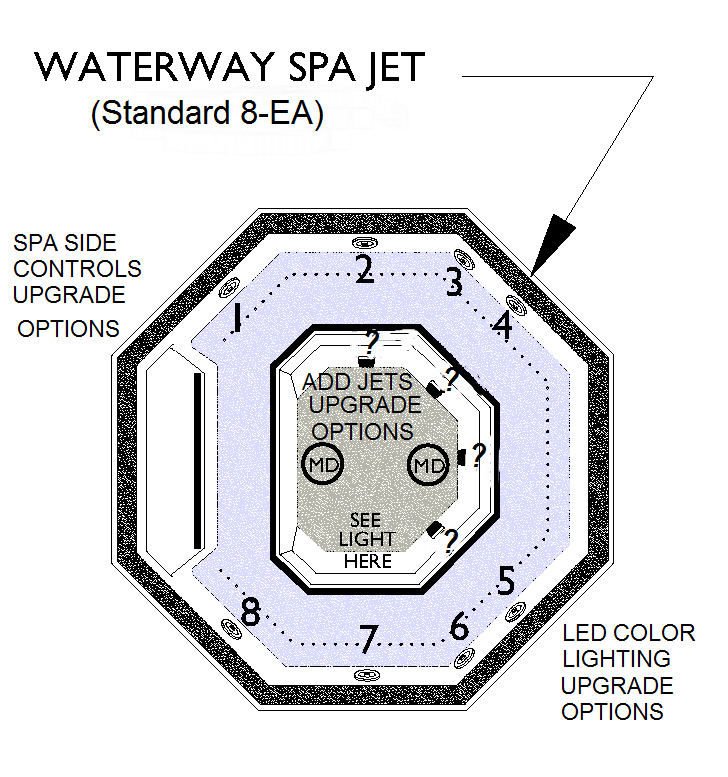 Additionally, decisions will need to be confirmed as to whether or not the Spa is to be built at deck level or have a Raised Spa Seating Edge, for greater ease in entry. 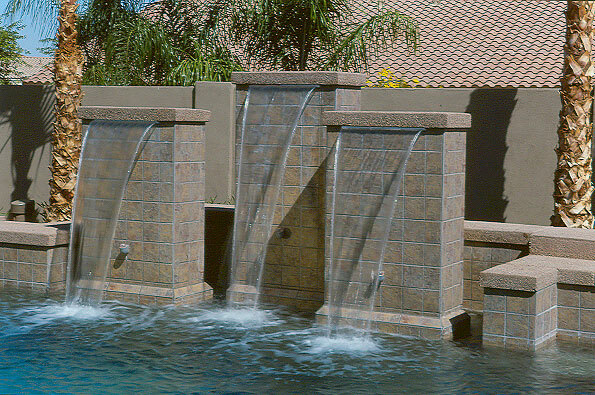 Other considerations may involve a Spillway and or a Waterfall or even a Fire / Water Feature that can provide for heated returning to the Spa’s environment. Whatever the case may be…the functions of these considerations will need planning, specifically because if they aren’t planned for, then someone is apt to apply the limits of a sold price to an unrefined approach and that almost always, looks different than what someone might have been expecting if it had been planned out. 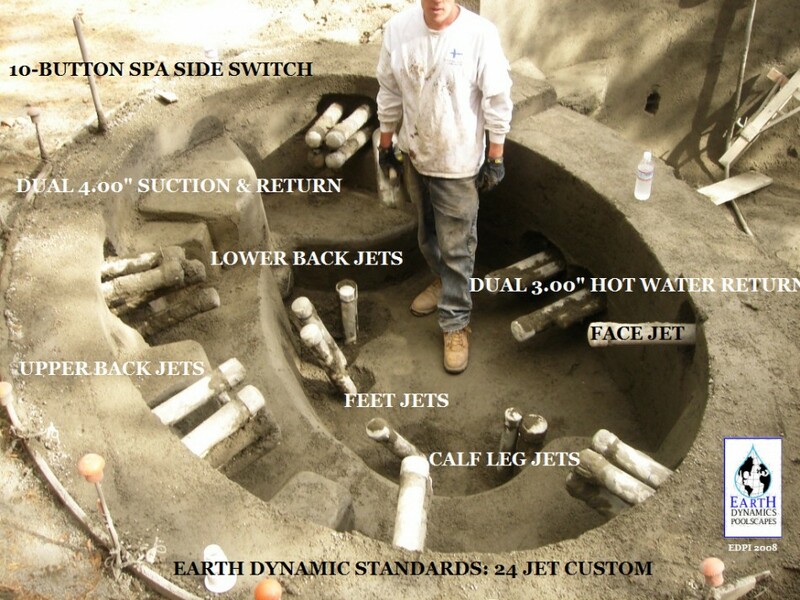 Click below to view our video about the deeper meanings of constructing In-Ground Spas! 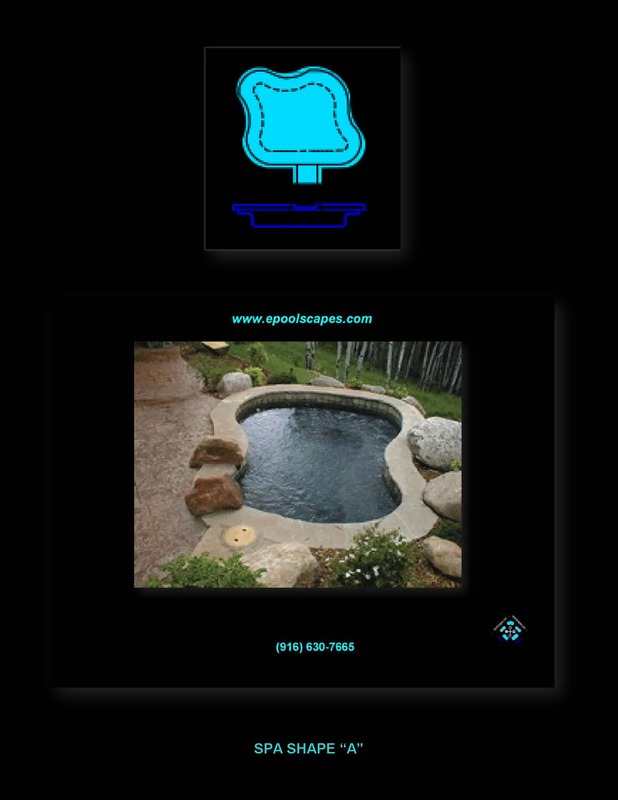 Our design, build approach provides for the most effectively relaxing therapeutic in-ground available anywhere! 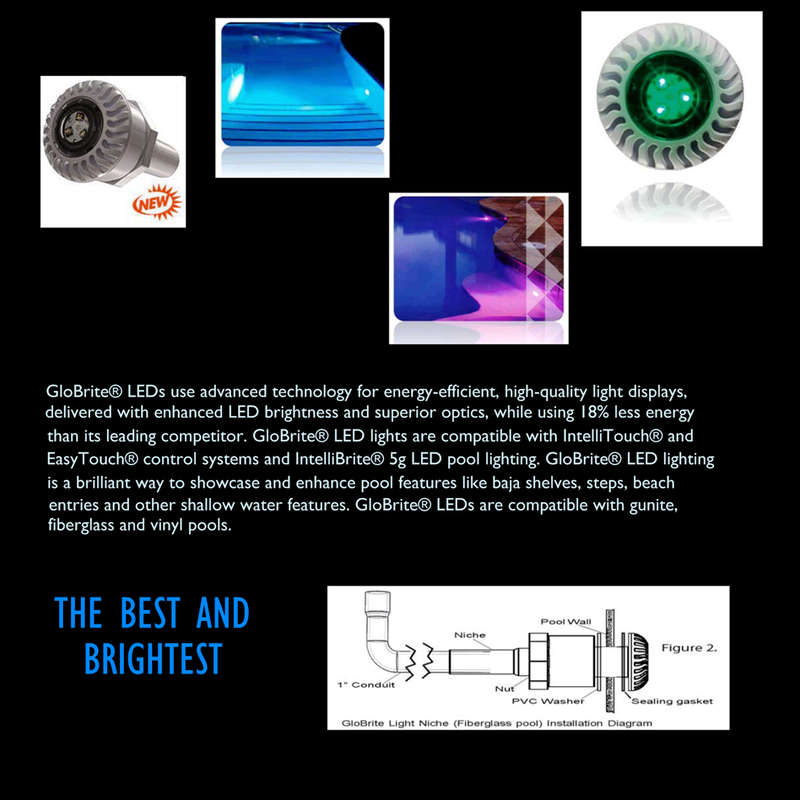 Our approach has evolved through many years and thousand of sophisticated critiques. 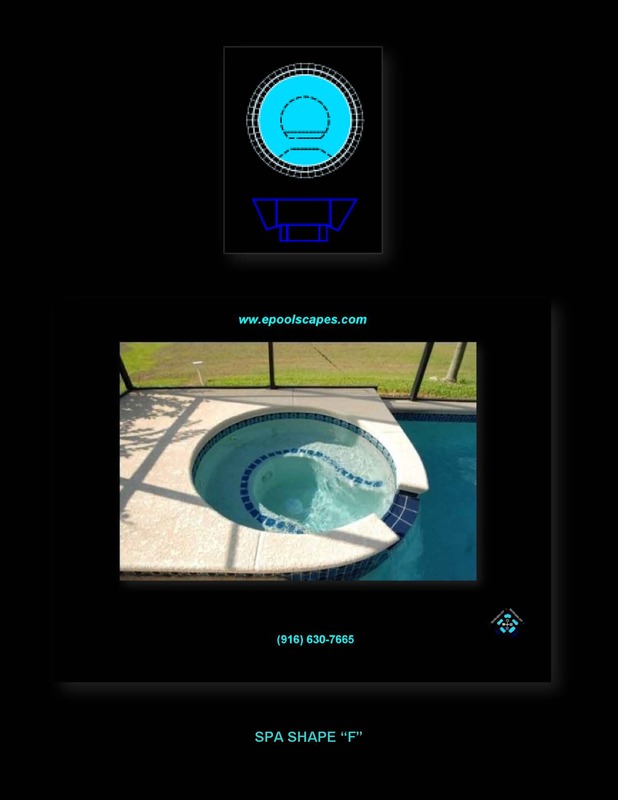 If a relaxing in-ground Spa is an important element of your enjoyment, we can make it an important part of our approach to building the most enjoyable outdoor living space possible for you and your family! 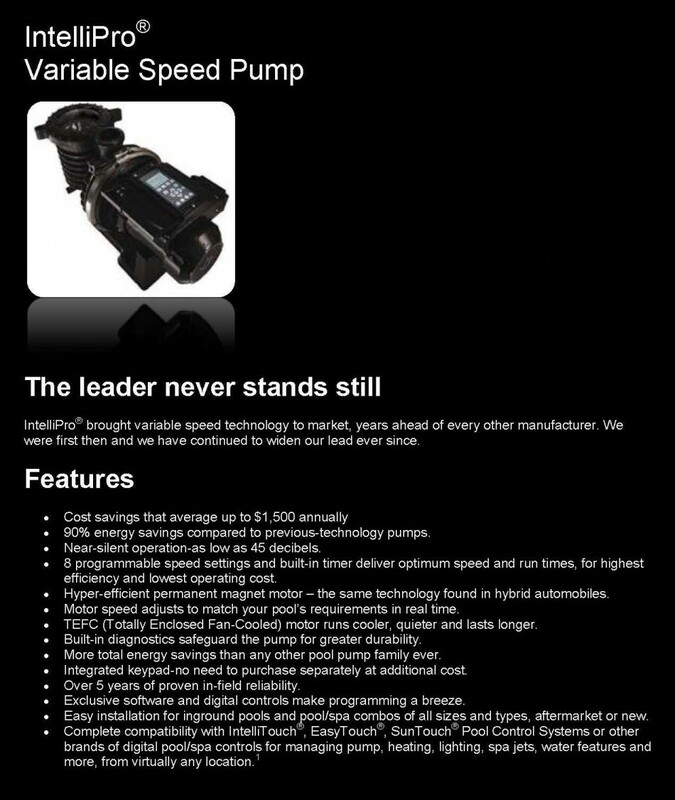 Our focus is placed upon the specified capability for deliver upon a promise, not the illusions promoted during the hype of a disconnected sales presentation. 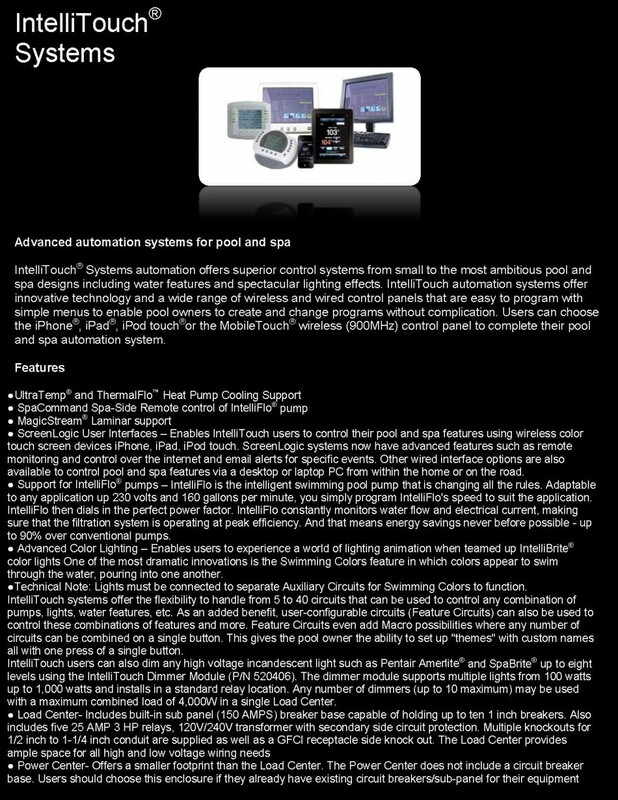 In providing measurable functionality,…an appreciation for what can be possible evolves for the understanding for how to make that a reality! 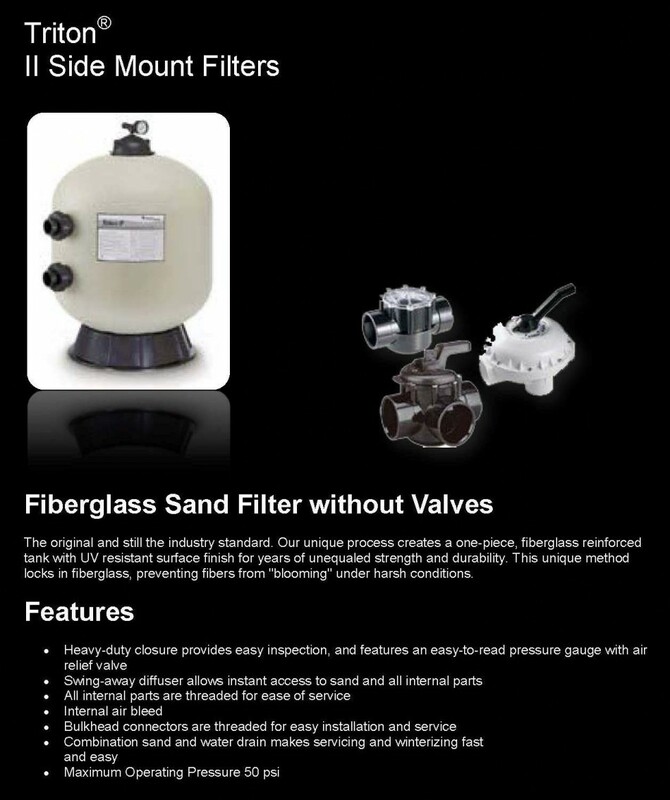 So, if soothing and messaging custom jets are part of your expectation, we’re glad that we have found you! 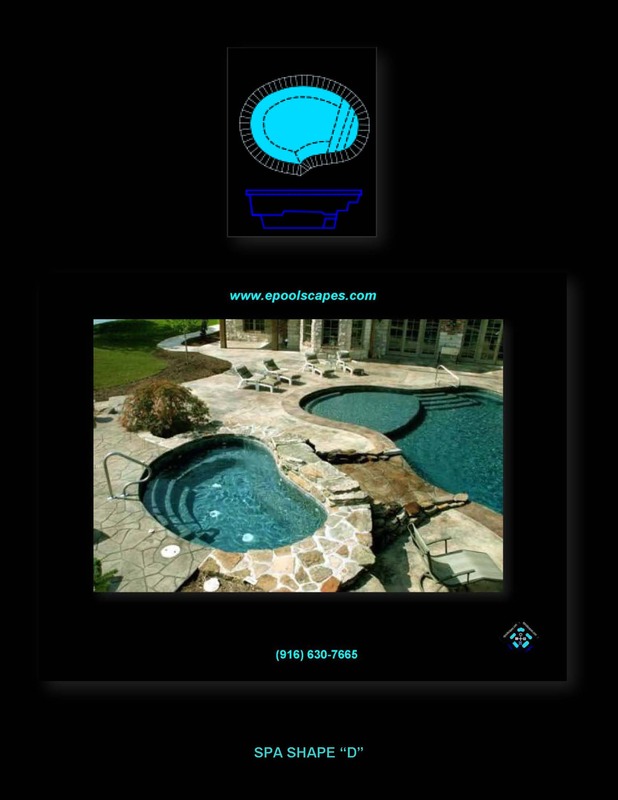 Unfortunately, the swimming pool construction industry does not provide an established recognized standard approach to building Spas so, each individual builder is able to weave the term “Spa” into their mix of choices. 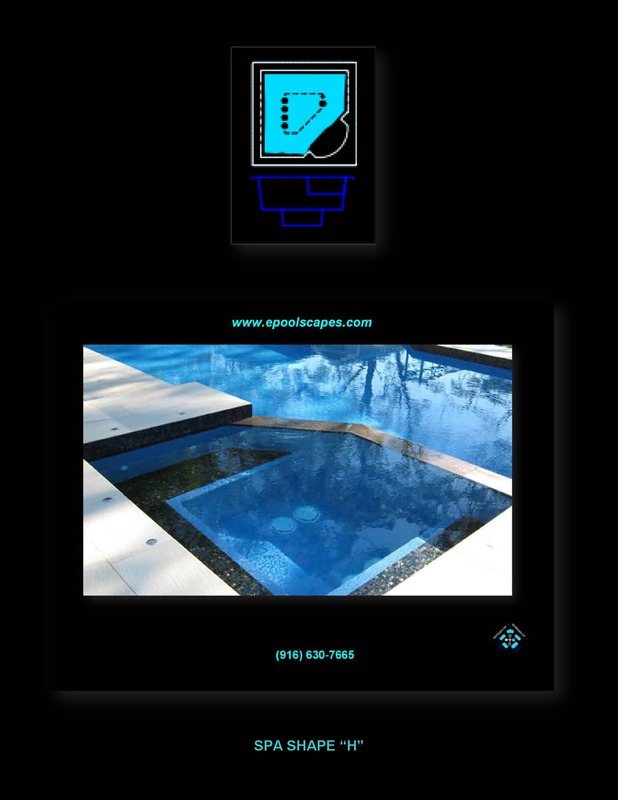 ePoolscapes spends a fair portion of time planning and writing full construction details for our in-ground Gunite spa installations, expressing the utmost creative design and schematics for operational functionality. 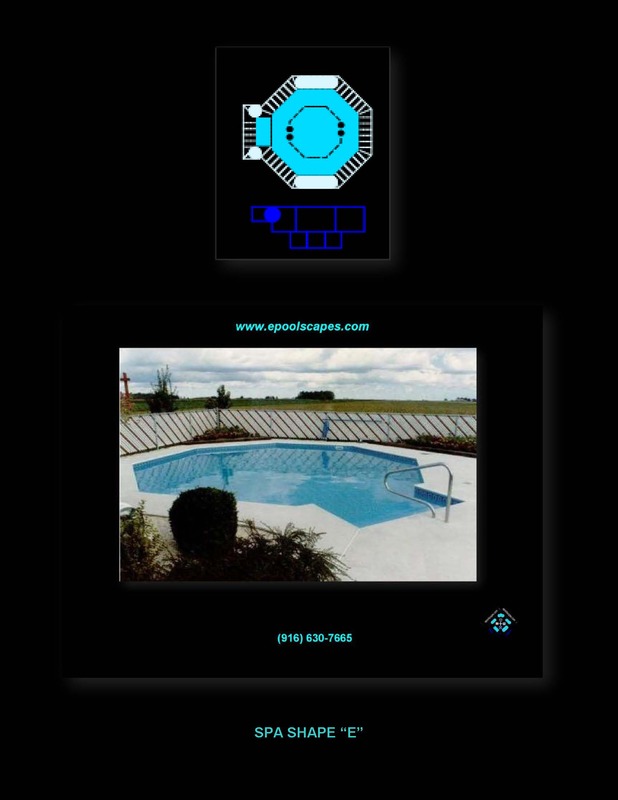 Some would have you believe that Swimming Pool and Spa construction is quite simple and the reality there is that for some constructors, it will be! 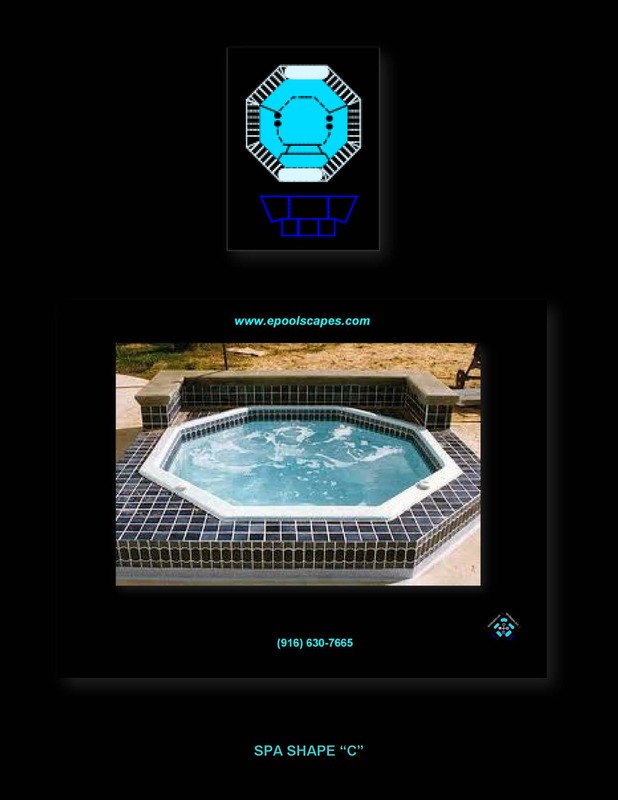 While competing with such “tub” standard approaches that can be commonly seen in production style swimming pool construction building, we pride ourselves on providing the “best” in-ground spa available. 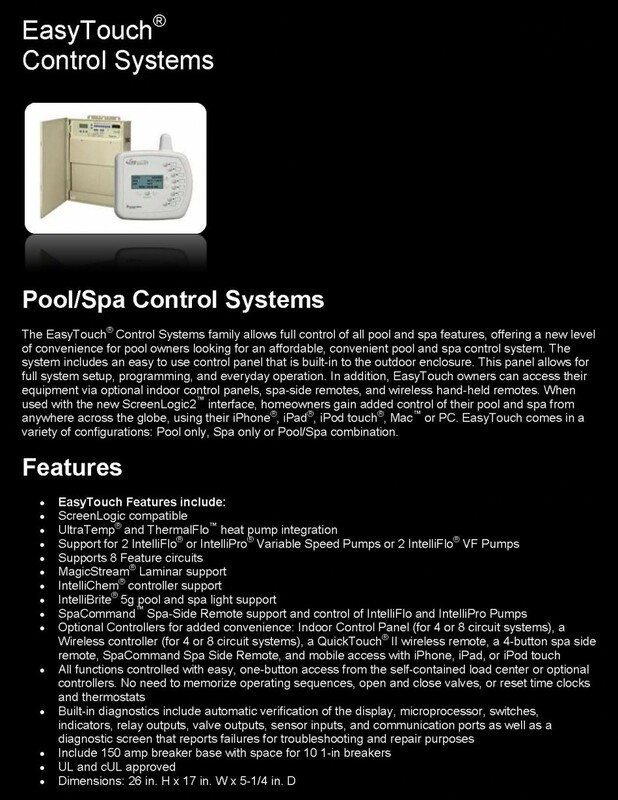 Even our $10K entry level spa is truly a high-end product and a praiseworthy bargain! 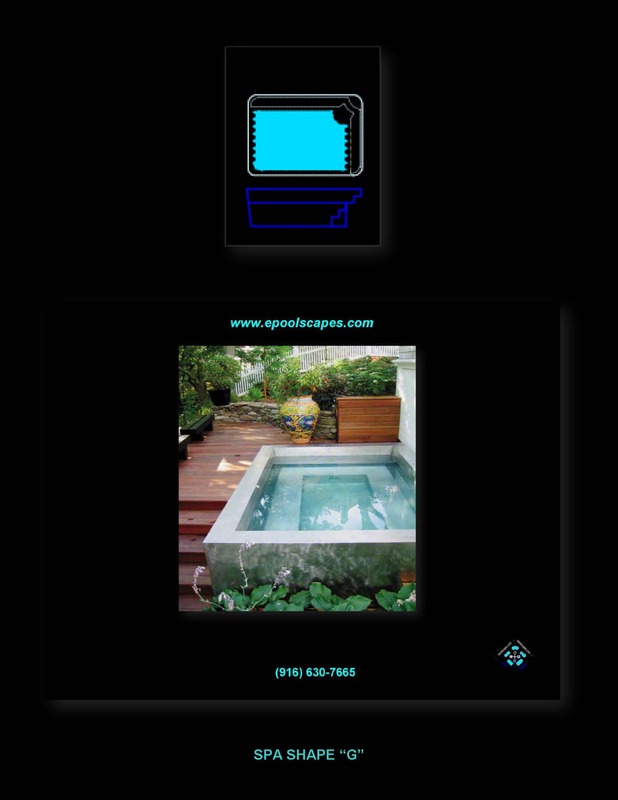 In designing and building spas our focus is to provide our client’s the most pleasurable activities that a spa has to offer in today’s in-ground spa capabilities. 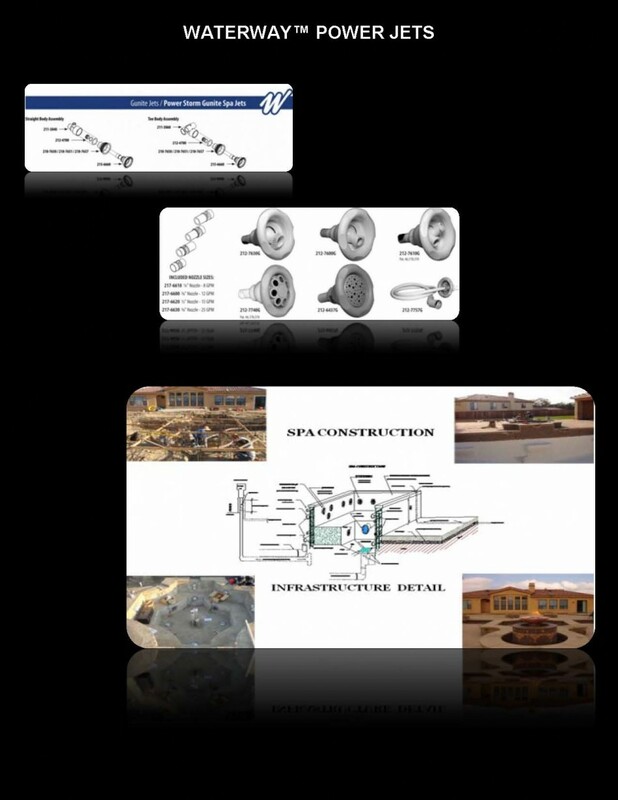 In soliciting a potential contender for the performances of designing and building an in-ground spa package you may wish to pre-qualify your expectations regarding the possibilities for attaining a therapeutic delivery system. 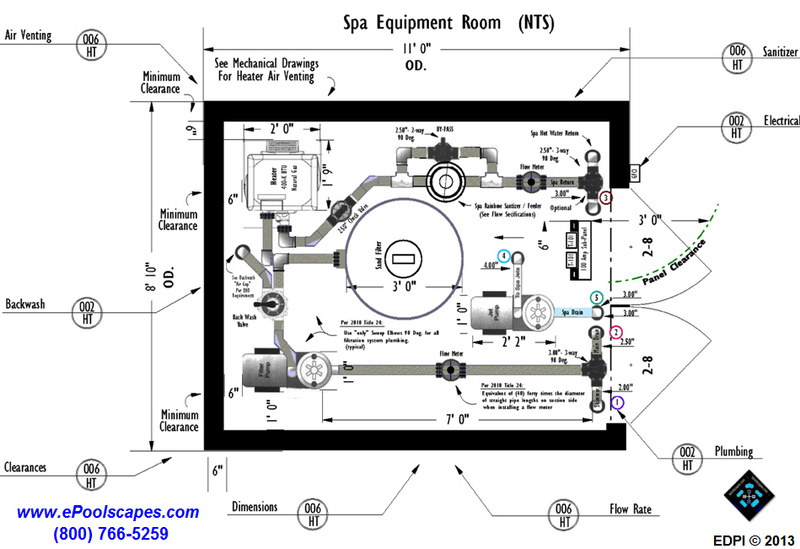 In doing so, please consider us a resource of information or assistance in putting forth a specification that will marry expectations to realizations through a spa package.